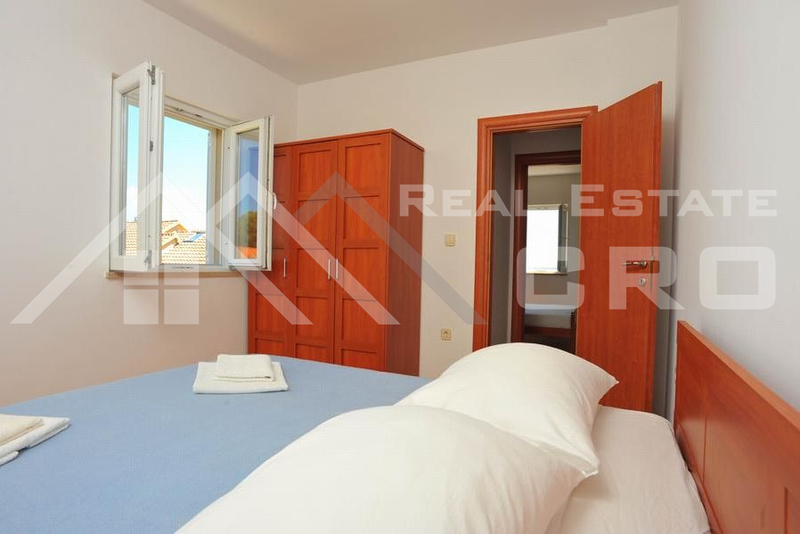 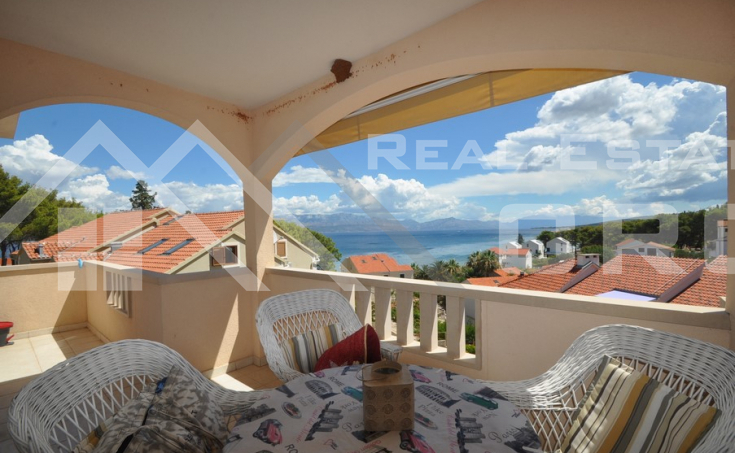 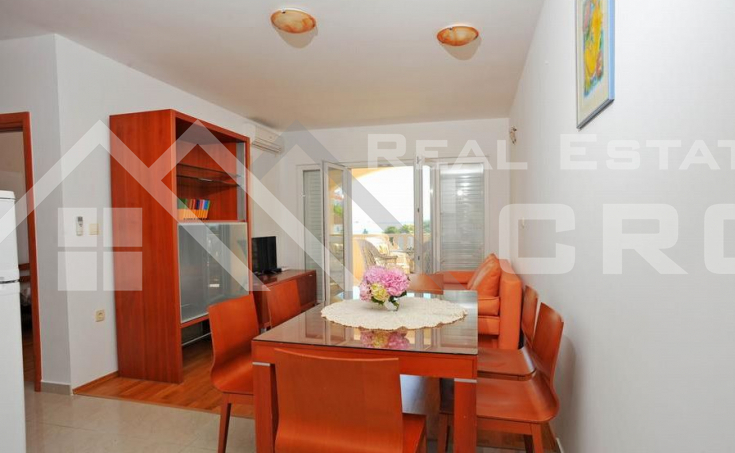 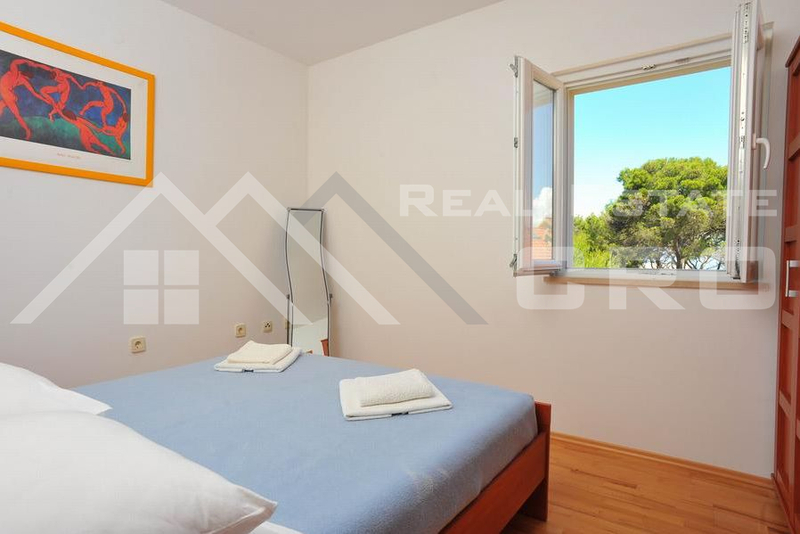 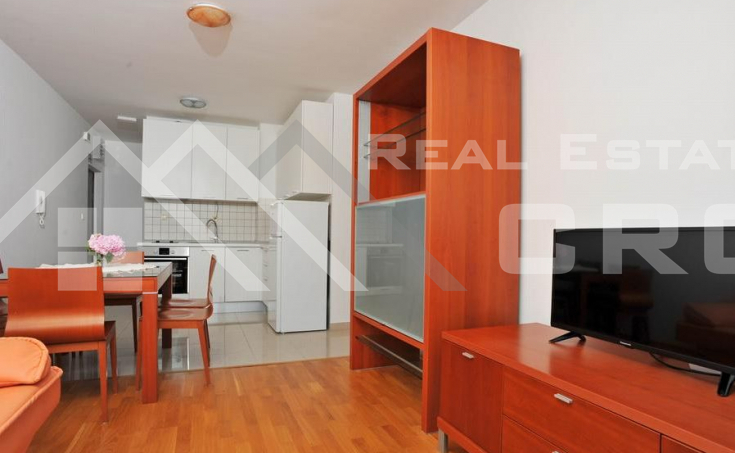 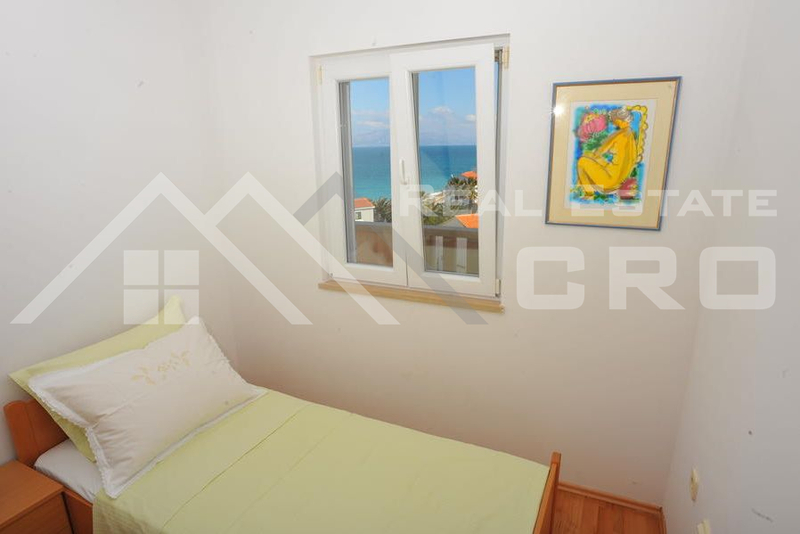 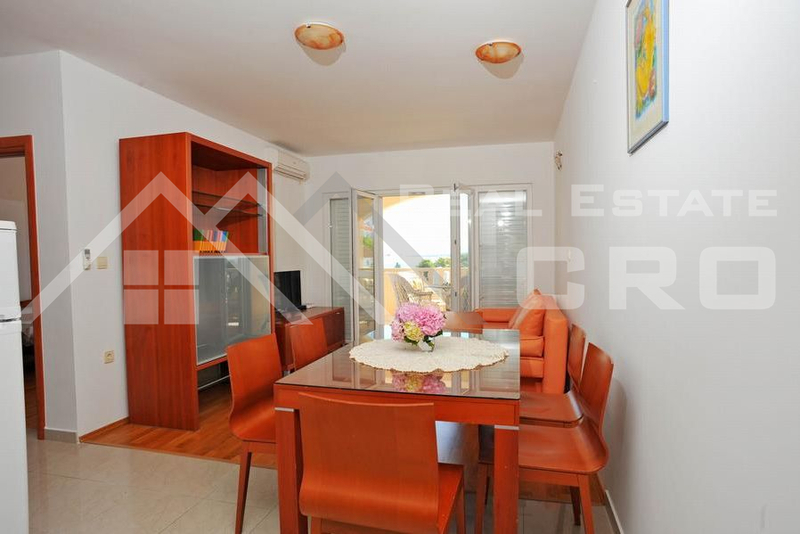 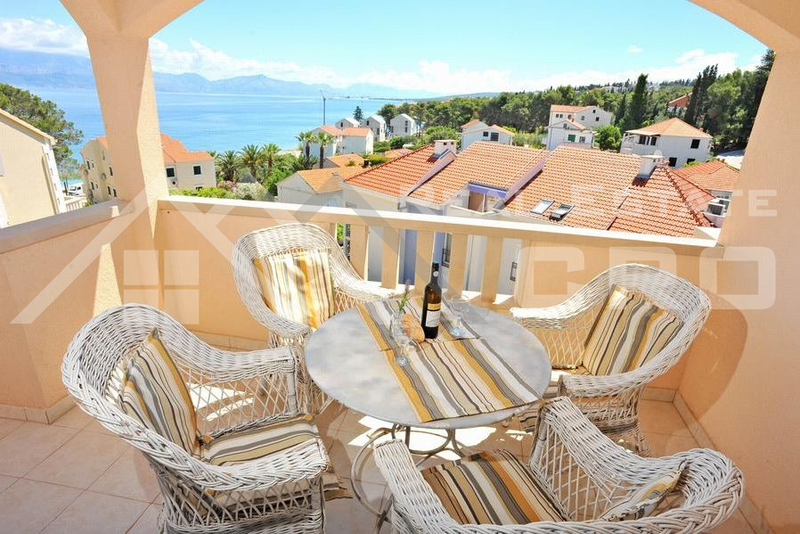 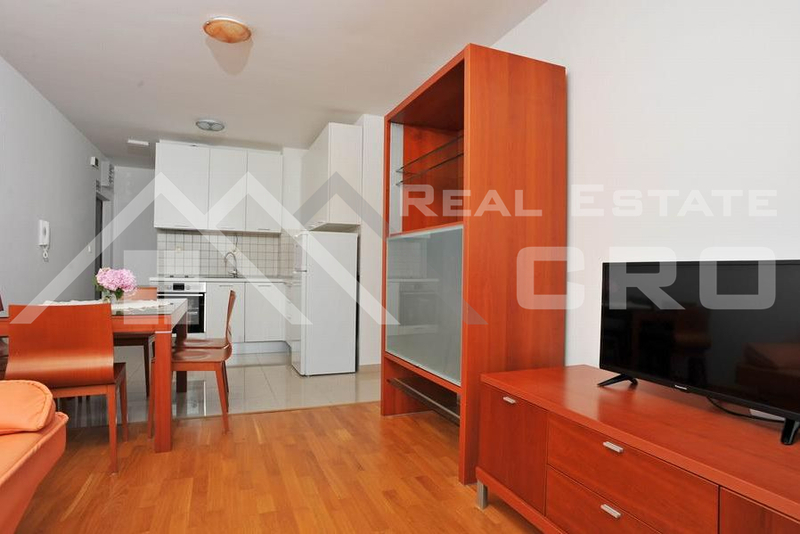 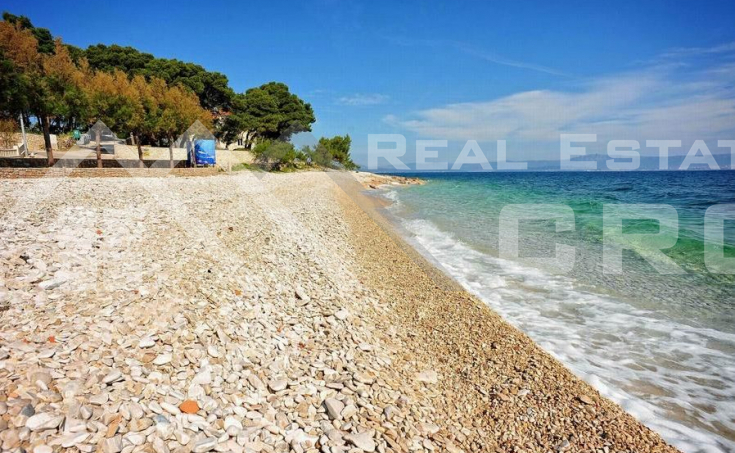 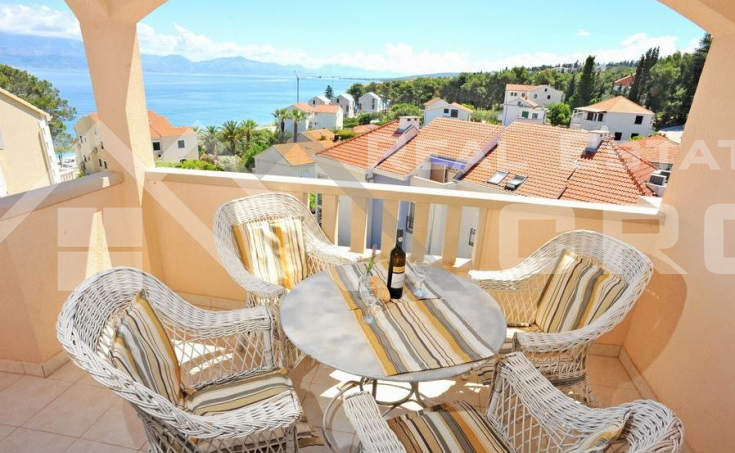 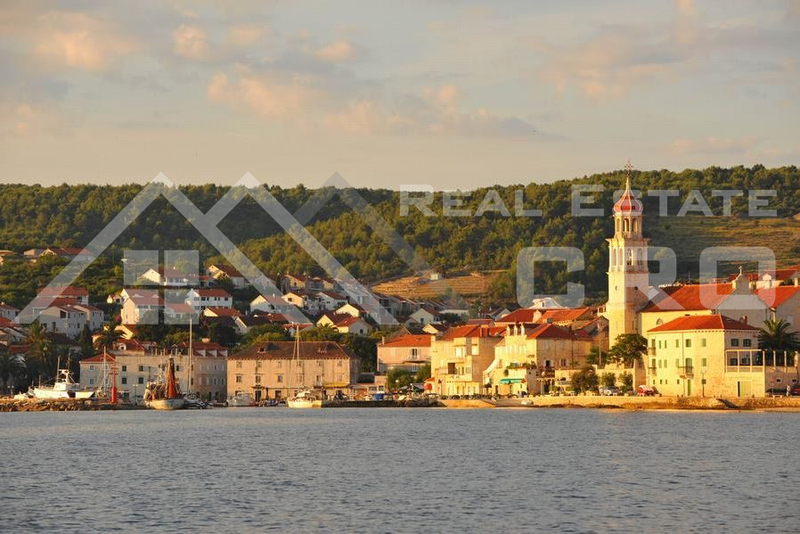 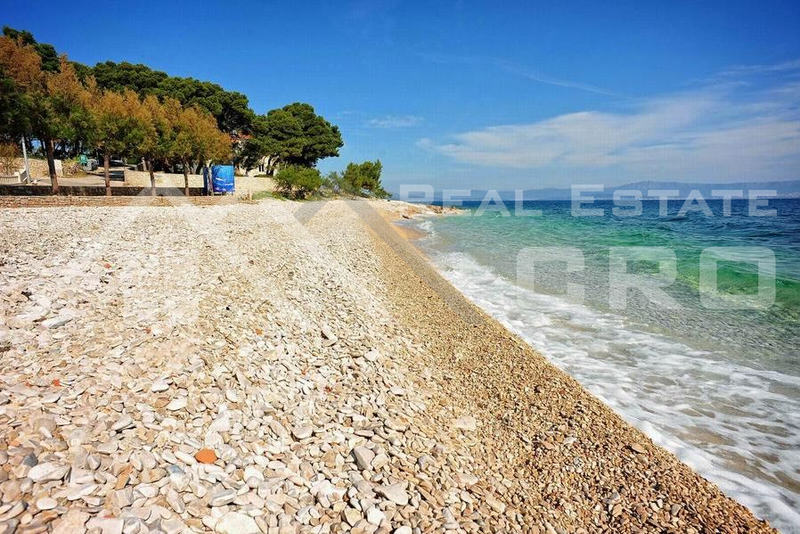 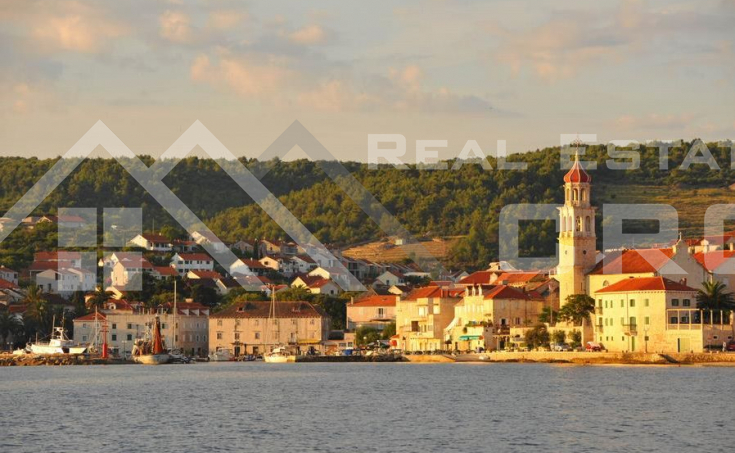 We are selling an apartment situated on a very attractive location in Sutivan on the island of Brac. 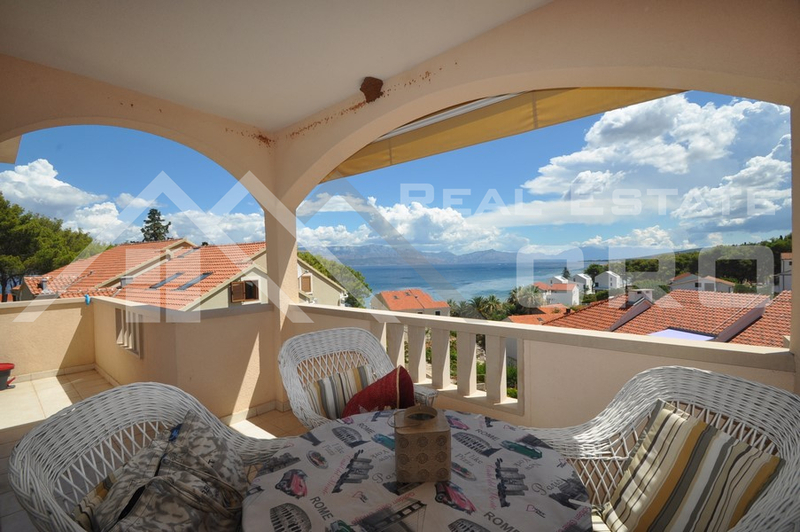 It is placed on the 2nd floor of a residential object, only 60 m away from the sea and a stunning pebble beach. 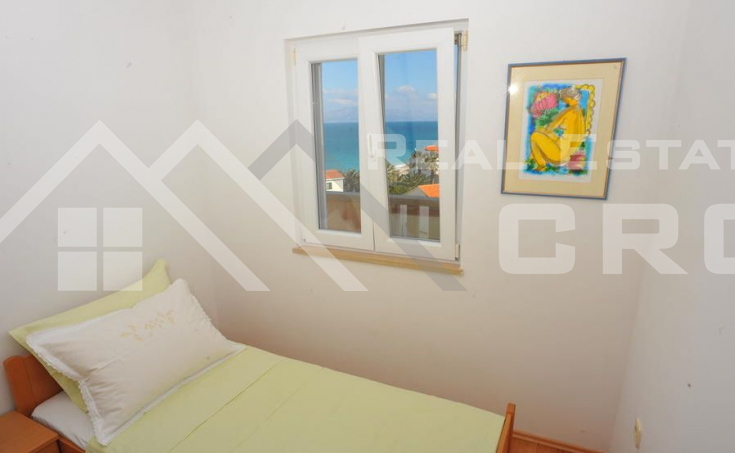 Total surface of the apartment is 61,72 m2 and it consists of a large open plan kitchen, dining room and living room, 2 bedrooms, a bathroom and a terrace that enjoys a beautiful sea view that cannot be obstructed. 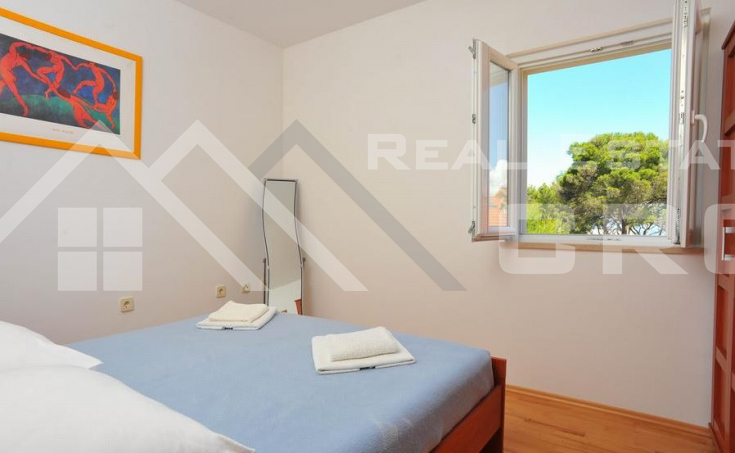 It is very bright and airy. 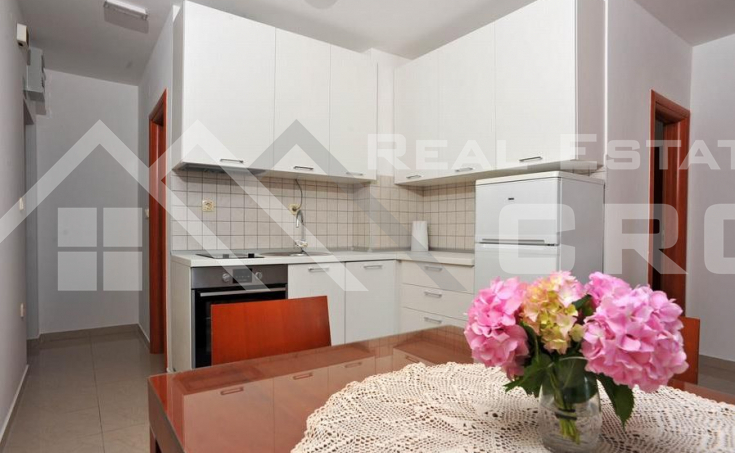 The apartment comprises also a garage with a parking spot. 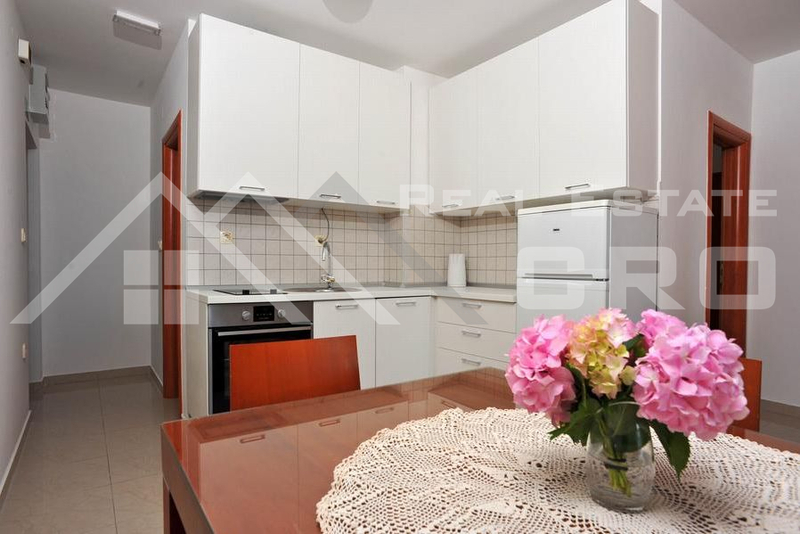 Furniture is included in a price.